Hi. My sound has completely stopped in my game, please help! I had muted all the sounds on the Sims 3 via options to listen to music on iTunes. This was no problem until I installed The Sims 3 Supernatural as I wanted the sound back on to listen to what the Supernatural Sims sounded however, when i unmuted the sound via options I found that the sound had failed to come back. I have since uninstalled both The Sims Supernatural and The Sims 3 and reinstalled them but the sound is refusing to come back! I have since installed Seasons but the sound isnt on that either. This will reset ALL your options, including aging, graphics, ingame store and other stuff. You will need to reset it. If it doesn't give you your sound back, you can just move it back. I have been having the same problem. Except i never muted mine in the first place so it just stopped working. I have reinstalled my game i have deleted cache files and still notjing works can anyone help us? @ella_abney16 When you uninstalled and reinstalled your game, did you also get rid of your TS3 game folder in Documents? If not, try deleting the options.ini file inside. A new one will be created the next time you launch the game, and your options will be reset, including the ones for sound. If that doesn't help, drag your entire game folder out of Documents and onto your desktop. Now all of your data will be removed (you can put it back later), but so will any potentially corrupt user files. 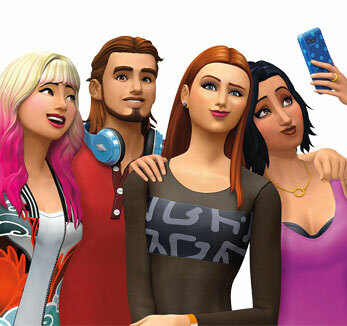 Please also confirm that the sound is muted only for TS3, and try a few different accessories (headphones, speakers) to make sure this isn't a case of one item being incompatible with the game.